Lately I am been thinking about the paid promotions I have done this month to figure out which worked and which didn’t. So far I have tried promotions through bookbasset.com, and igniteyourbooks.com. The promotions were done more than a week a part so I could adequately see if they produced results. Unfortunately the first didn’t work and the second only produced a couple sales. 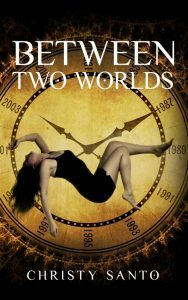 Yet two days before the second promotion began I sold twelve e-book copies of Between Two Worlds. I don’t know if it was a result of posting the sale on the social media sites I use; a delayed result from the first promotion; or pure luck. I am hoping as I do more promotions in the future it will become clearer what works and what doesn’t. The next paid promotion is scheduled for October 7th. It is being done through discountbooksdaily.com. I will post the link on social media as soon as I get it through their e-newsletter. In other news I have returned to Booklikes.com as a platform to share videos and select posts from statictvblog.com. In mid October I have planned a six e-book giveaway to be run by Booklikes and I will allow their algorithm to choose the winners. Lastly in October, another review of Between Two Worlds will be released by a reviewer I gave a free copy of the e-book to over the summer. I hope in between to get reader reviews from those who purchased the book. So far I have three great written reviews on Amazon from different bloggers and a fourth person, I assume is a reader, who only highlighted stars to rate the book. I wish there had been words to express why he or she thought the book was just okay. Alas it is what it is. Nothing I can do. What I do have control over is keeping the creative flame alive, knock on wood, has been no problem at all.